Oracle Database Appliance is a completely integrated package of software, compute, networking, and storage that’s been optimized and engineered to offer performance and scale for your Oracle Databases and applications. It reduces complexity, saves time, and gets you up and running faster. Oracle Database Appliance can save you hundreds of hours in the first year alone so you can spend that time on projects that drive the business forward. And not only is it architected for the on-premises world, it’s also architected for cloud. With Oracle Database Appliance, everything is simple—from sourcing right through to deployment and management. It’s engineered for simplicity and faster time to value, so you can run databases and applications on a single, managed appliance, with single-vendor support. Automation is key to Oracle Database Appliance’s simplicity. It’s based on standardized, proven configurations, meaning there’s no need for guesswork or specialized skills. Oracle Database Appliance is specifically engineered for Oracle Database. All hardware and software up and down the stack are fully integrated and optimized for peak performance. This means you get predictable, proven results, with minimal effort. By running your databases on a purpose-built appliance—built on Oracle expertise and best practices—you know it will perform at its very best. With a low entry price point and flexible licensing options, you can maximize the return on your IT resources. Many organizations waste IT spend on capacity they don’t yet need. Often, they don’t have a choice. Oracle Database Appliance is different. It’s completely flexible, so you can quickly scale up storage or memory when you’re ready. With Oracle Database Appliance, everything is simple—from sourcing right through to deployment and management. It’s engineered for simplicity and faster time-to-value, so you can run databases and applications on a single, managed appliance, with single-vendor support. Automation is key to Oracle Database Appliance’s simplicity. It’s based on standardized, proven configurations, meaning there’s no need for guesswork or specialist skills. In fact, a database administrator can have it up and running within minutes. Patching is automated across the entire stack, as well as storage management—it’s all integrated into the appliance. 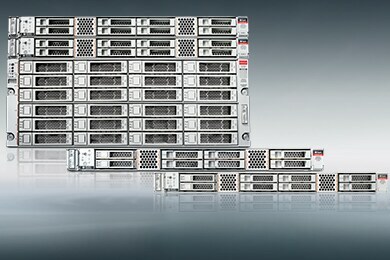 Oracle Database Appliance delivers everything you need for your databases and applications. And, unlike converged or self-build systems, if you ever need support, there’s only one number you need to call. Oracle Database Appliance is the lowest-cost entry into Oracle Engineered Systems. With capacity-on-demand licensing, you save substantial licensing costs and maximize the return on your IT resources—just pay for what you need, when you need it. Many organizations waste IT spend on capacity they don’t yet need. Often, they don’t have a choice. Oracle Database Appliance is different. It’s completely flexible, so you can quickly scale up storage or memory when you need it. By licensing processor cores on demand—a feature unique to Oracle—you can quickly scale from 2 to 72, without any hardware upgrades. This can translate into significant savings compared to other solutions, where you’re expected to pre-provision licenses that you may or may not need. The same applies to hardware: we deliver a complete, engineered appliance, rather than build-your-own components. The physical footprint is small, and operational costs are low. Labor costs are cut across the board, too—delivering savings of up to 72 percent over traditional build-and-maintain approaches. Oracle Database Appliance is specifically engineered by Oracle for Oracle Database. That’s something only we can deliver. And it means you get predictable, proven results, with minimal effort. Your business relies on its databases, so you need them to run at peak performance all the time. Only Oracle can help you do that. All hardware and software up and down the stack is fully integrated and optimized for Oracle Database—no other vendor can offer such complete integration and optimization. By running your databases on a purpose-built appliance—built on Oracle expertise and best practices—you know it’s been configured and optimized to perform at its very best. With a complete range of use cases, you can use Oracle Database Appliance your way. Purchase the hardware and deploy it in your data center for complete control and security. Deploy a purpose-built engineered system optimized for Oracle Database. Ultimate uptime for your applications and databases. Vertice CEO explains how Oracle Database Appliance accelerates and simplifies deployment. 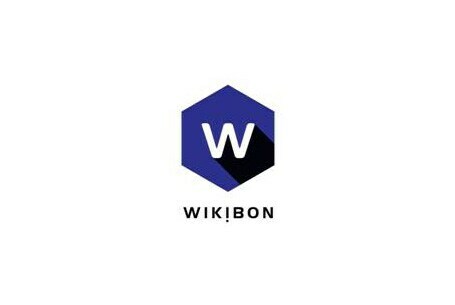 Wikibon research shows that the white box server has 57 percent higher IT costs over three years than Oracle Database Appliance in a distributed, high-value application environment. Build Your Own Database Platform, or Buy One? If you’re not sure, take a look at our side-by-side comparison. 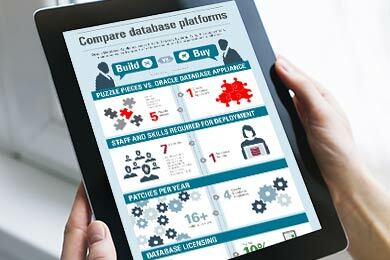 Learn why Oracle Database Appliance is your ideal database platform. The Oracle Database Appliance X7-2S is a fully integrated solution optimized to run single-instance databases. It simplifies deployment, maintenance, and support, saving you time and money. The Oracle Database Appliance X7-2M is different and is designed for mid-market and gives you more than double the processor and memory without doubling the cost.